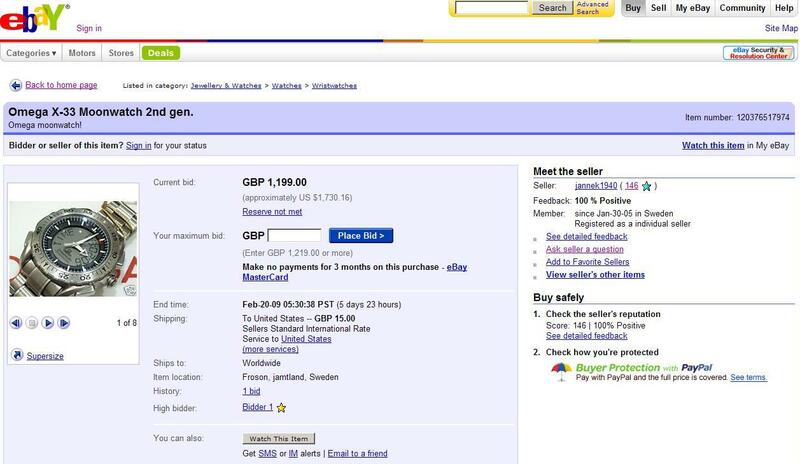 Warning: Possible X-33 eBay Scam! – I Already Have a Watch. Jannek1940 eBay listing for "X-33 Moonwatch!" Most of the X-33 photos in the listing seem to have been lifted directly from the X-33 article. 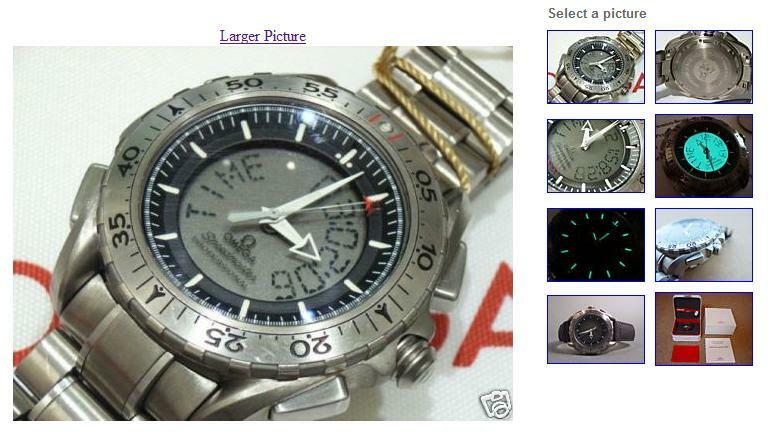 Potential bidders should beware that the pictures shown almost certainly do not accurately depict the condition of any watch that might actually even be for sale. They’re not even a terribly up-to-date depiction of the condition of my X-33. Even most of the description text has been shamelessly stolen from the Watch Report description of the X-33. Given these, one has to wonder if he even has the watch! Jannek1940 unfortunately had the sense to host the images so I can’t pull a Chuck Maddox-style Kung Fu Switcheroo, though. Which is almost too bad, as I’m typically not as kind as Chuck and would love a chance to be creative. Look after your money, folks — don’t bid on this one. 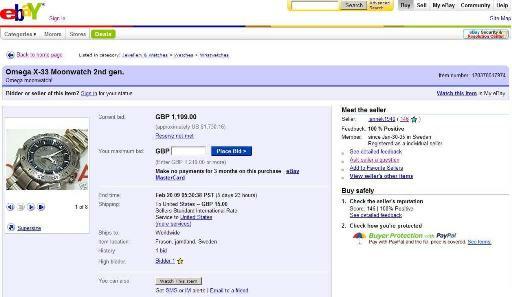 Tagged with ebay, scam, X-33.